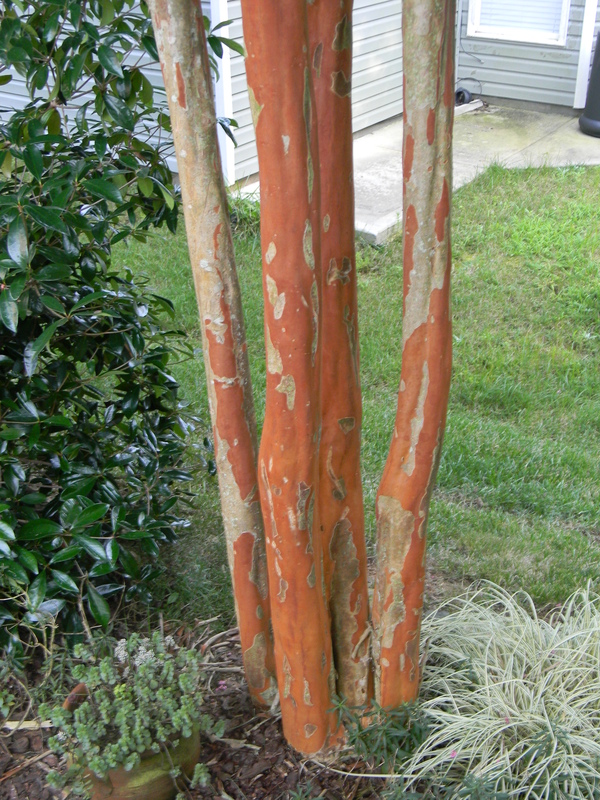 This entry was posted in Gardening, Wordless Wednesday and tagged crape myrtle, crape myrtle bark, Lagerstroemia. Bookmark the permalink. You’re so right. Beautiful bark. 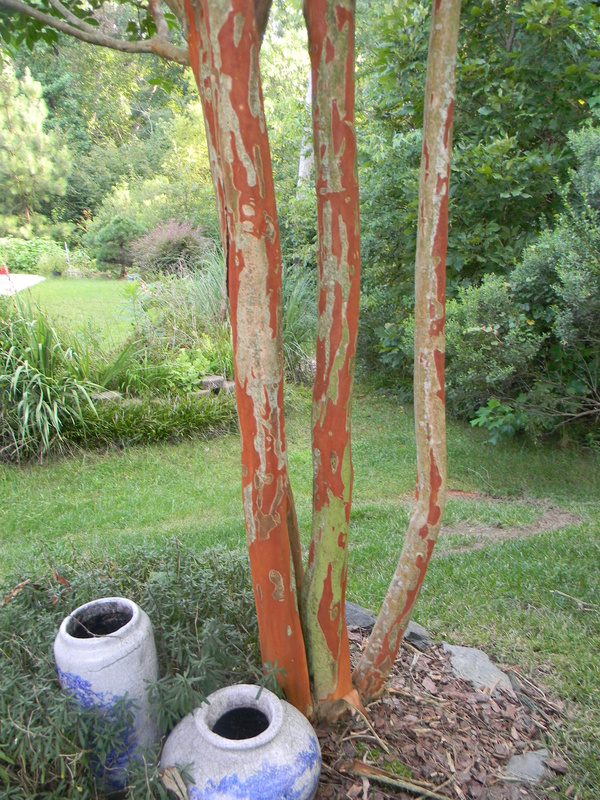 ‘Osage” is the only one of about seven different crape myrtles in my garden that shed bark to this wonderful color. Apparently, not many of them do, but if one shops at the right time of year, they can be found. By a mild fluke, our landscapers installed a variety that also has beautiful bark. Don’t know if it is Osage though it looks similar.